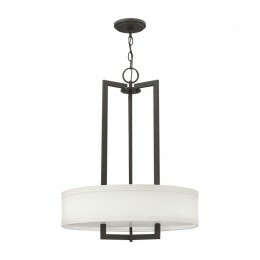 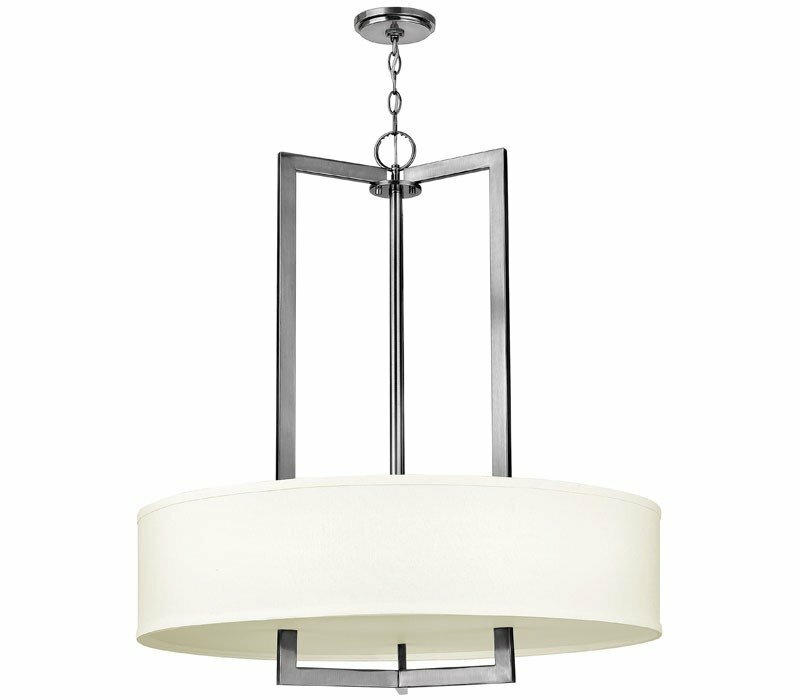 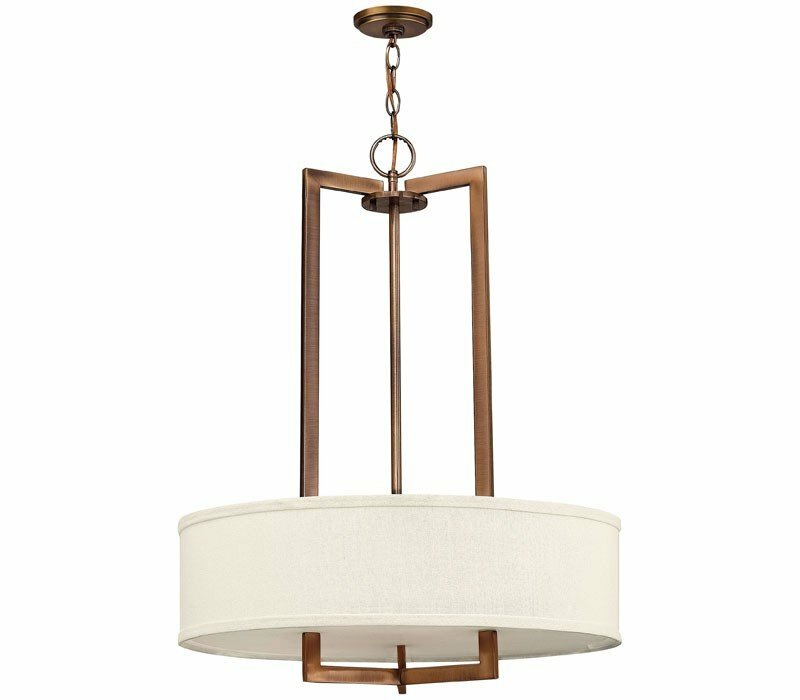 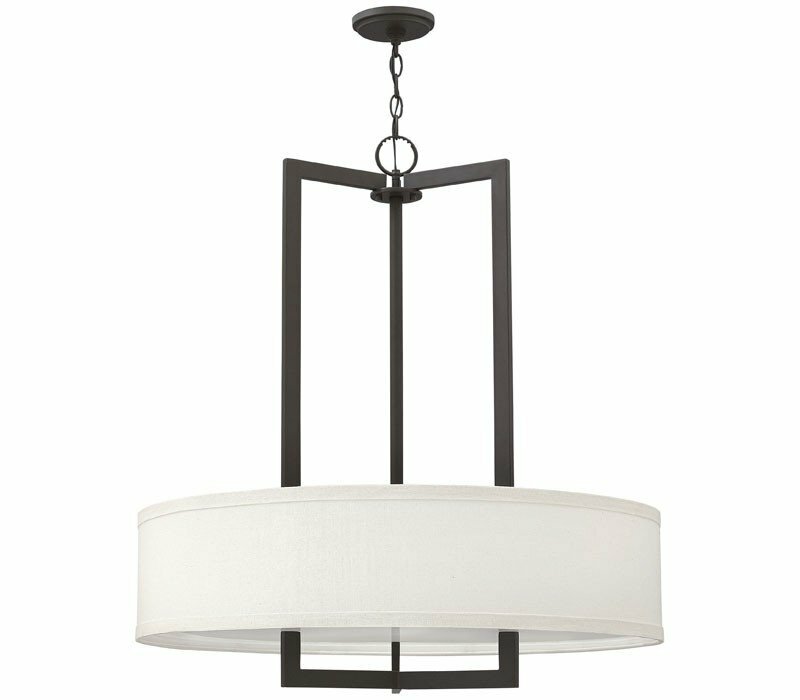 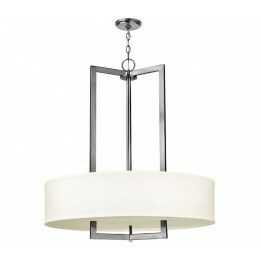 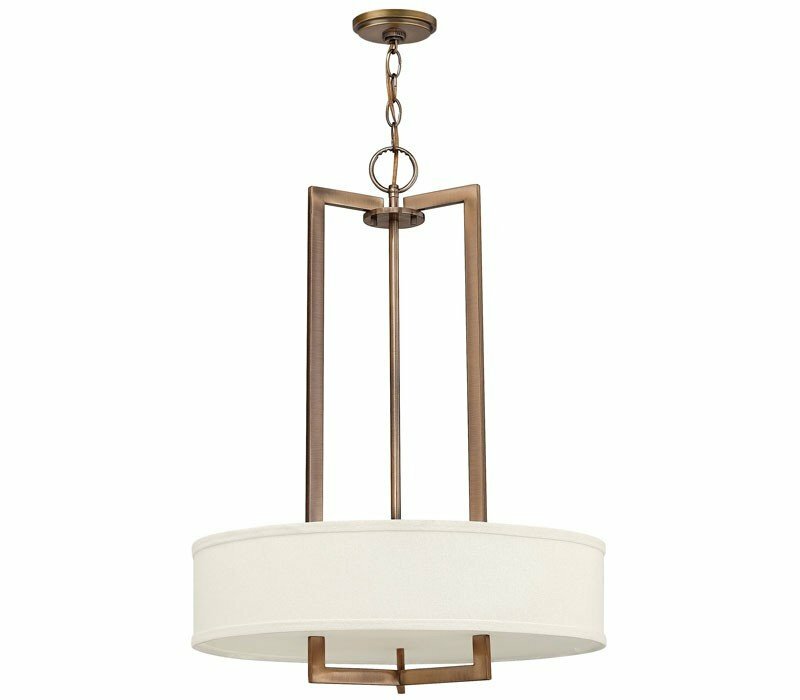 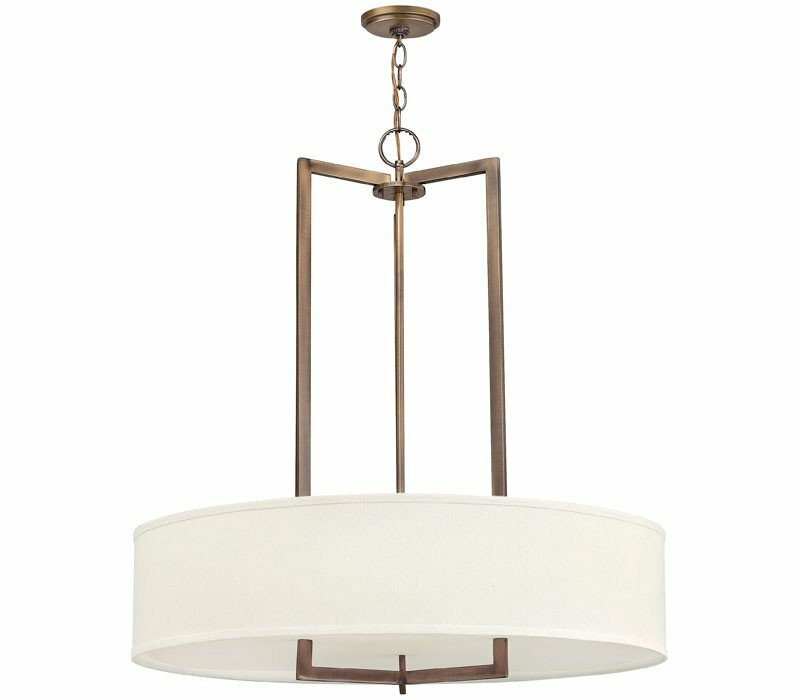 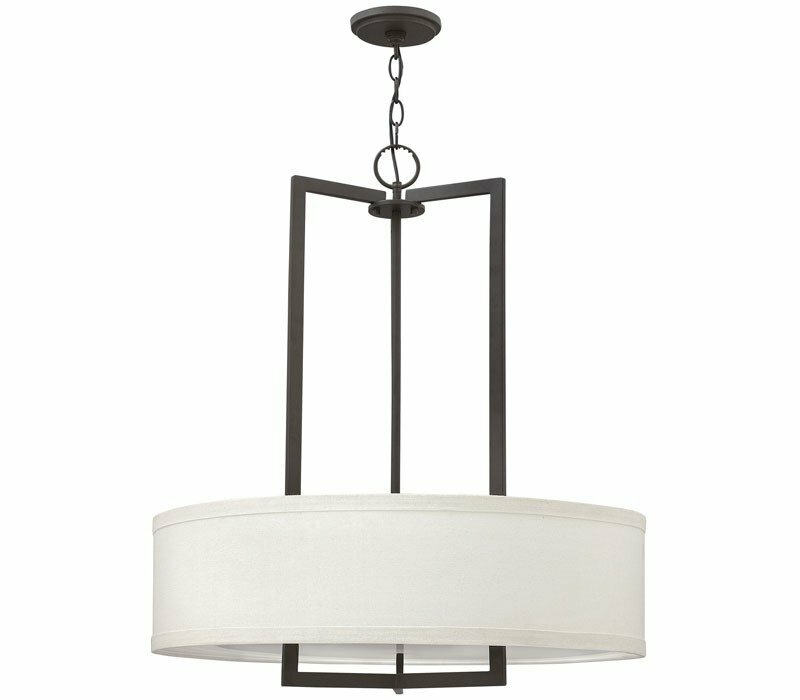 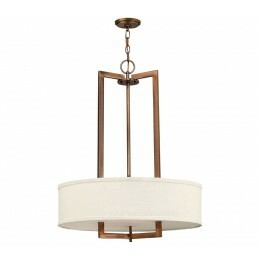 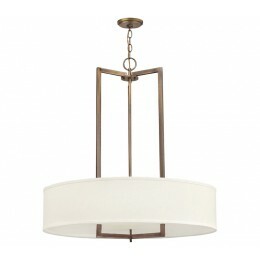 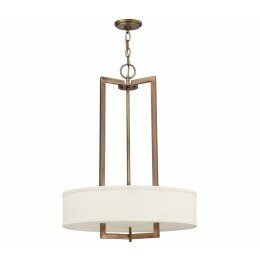 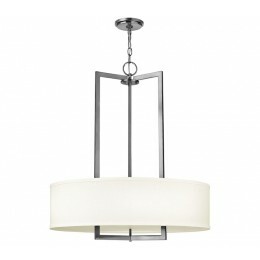 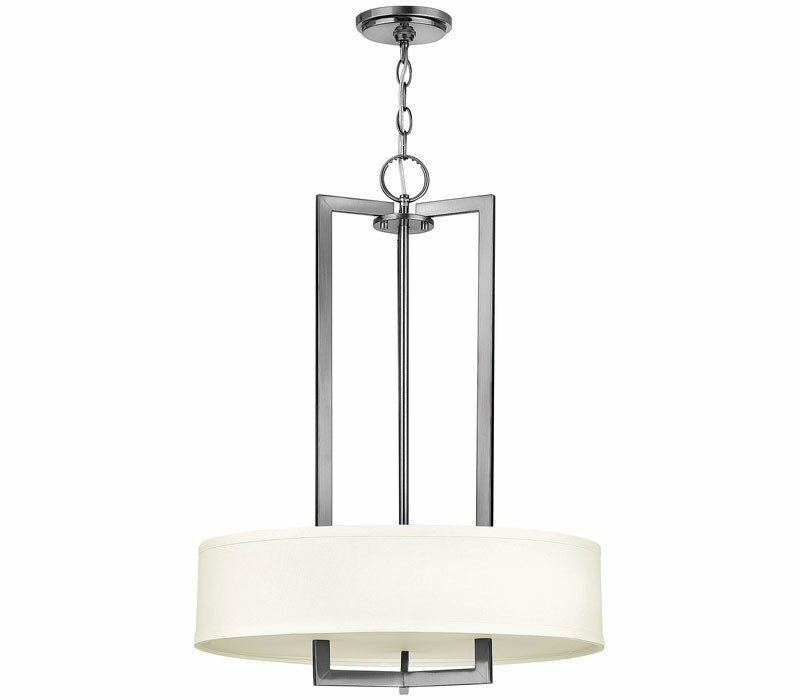 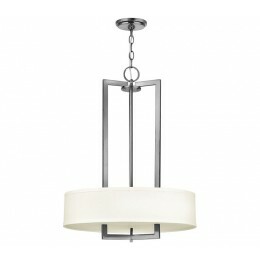 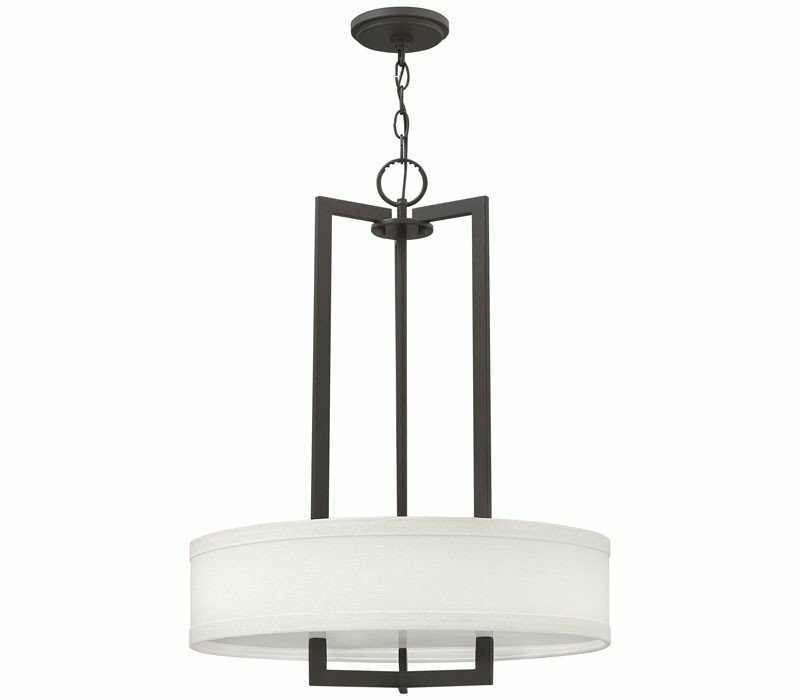 The Hinkley 3203AN Hampton collection Pendant Lighting in Antique Nickel uses Incandescent light output and brings Contemporary style. 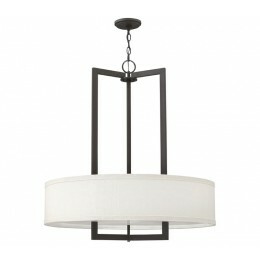 This item is 26.5"H x 20"W. The wattage is 180. 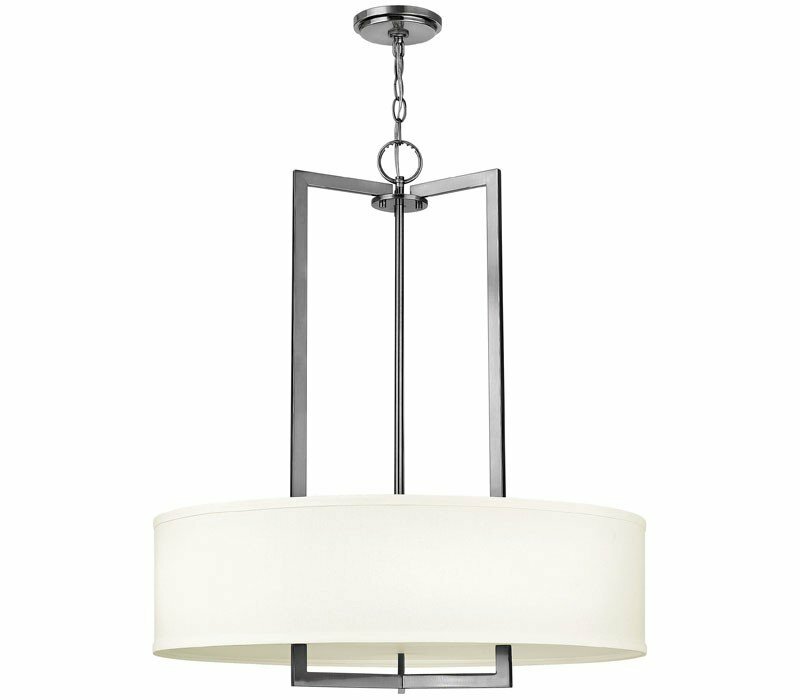 The Hinkley 3203AN requires 3 bulbs (not included). 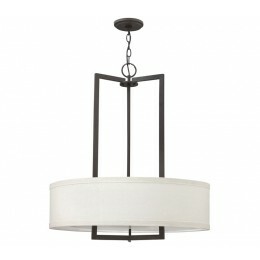 Additional Information: Shade-Off-White Fabric Shades.